Woo hoo...Stampin' Up! have announced two fantastic promotions for May both of which involve scrapbooking. The first promotion is a Buy 3 get 1 free special on our gorgeous Designer Series Papers. Full details of the promotion can be found here. I know I will be stocking up...especially Bella Rose ..love those patterns. The second promotion is a fantastic Scrapbooking Starter Kit just for May that is only $150. 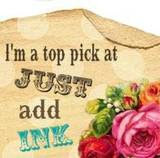 Yep you can start your own scrapbooking and stamping business for only $150. Full details of this promotion can be found here. If you have been thinking about joining Stamping' Up! whether to save money on your hobby or to earn extra money each month contact me today to learn more about this opportunity. As an added bonus the first five people to join my team this month will receive a Sale-a-bration stamp set from my collection.